One day at Disney World is just not enough. I went in knowing this but experiencing Disney World first hand solidified it for me. You need at least a full week (or at least four full-days) to really experience everything it has to offer. I’m glad we were able to scout out the area and get a feel for things for our next trip and learned a few valuable pieces of information about the Magic Kingdom to pass along. If you’re hot, cranky and need a break, go on “It’s a Small World After All” in Fantasy Land. It’s one of the longer rides so you can sit down and cool off in the air conditioning. Take snacks with you for your grumpy ones. 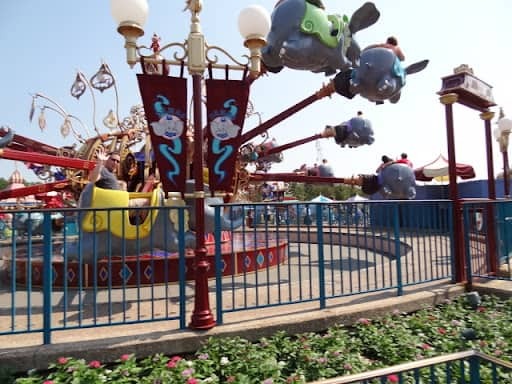 Dumbo is like the FASTEST ride ever. It’s not worth standing in line for longer than five minutes since it’s about a 60 second ride. We went in Sept., after Labor Day which was one of the recommended “off season” times to visit. We didn’t plan the timing but it worked out in our favor. It was fabulous! We visited the park on a Thursday, the crowds were nonexistent. We waited in line at max for five minutes; the longest line we waited in was Dumbo in Fantasy Land at the Magic Kingdom. With that said, we were able to ride several rides in the short time we had at the Magic Kingdom so we really were able to experience everything in Fantasy Land in one day. 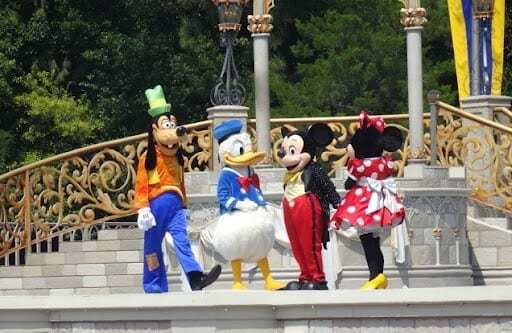 The Unofficial Guide to Disney World did a full report in its 2011 book noting when the best times and worst time to visit the park are based on ticket sales. I’ve noted them here. FASTPASS – Do you really need it? The FASTPASS is a complimentary service that saves your place in line for an attraction while you enjoy the rest of the theme park. It’s kinda like making a reservation for a ride. 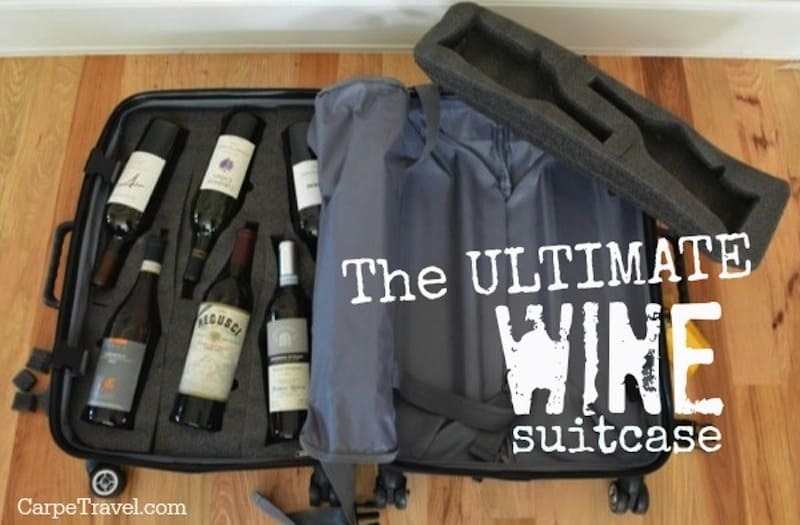 Whether or not you need one all depends on when you visit Disney World. If it’s in the summer or other peak time, yes you should get it (see the time frames listed above). I was hesitant in setting one up before we left and I’m glad I didn’t since we did not need one. They’re everywhere. These photo happy folks are stationed in the most photographed places in the park and will snap your photo with their camera and if you’re nice, they’ll even take a shot with your camera for you. You will be given a photocard – a Disney PhotoPass – tied to the photos these folks take. If you have multiple photos taken you can have them scan the same card so you’re not walking around with 25 cards. This is great since they can capture some excellent shots with amazing backgrounds. However, it’s pricy if you want to order the photos when you get home. One photo cost me $15, and that for a 5×7 download. But it was nice one and worth the money. I only bought two of the photos we had taken given the price though. I hate lines. 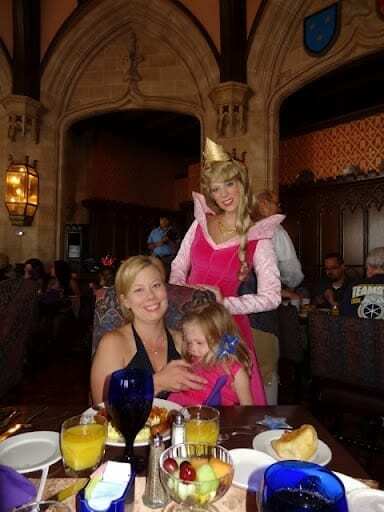 With that said, I am all for paid character sightings, even after doing the breakfast with the Princesses at Cinderella’s Royal Table. Yes, it it did not go as planned but I would have hated to stand in line for 30 minutes to have my daughter meet Tiana or Rapunzel just have her melt down. (At least at the breakfast she could see them from afar and cuddle into me when they approached. Princess 1 tells everyone she can that she met Belle and Cinderella. She doesn’t fail to mention she was to scared to say hi.) If you can, try to do the breakfast or lunch with the Princesses or Chef Mickey. You can also find place and make reservations specifically for dining with characters here. The site tells you what characters you will be able to see as well. The key thing about characters and kids though, is your child may freak out so be prepared. Don’t force your child to get their photo done with a character. It’s not worth the time or the fight.